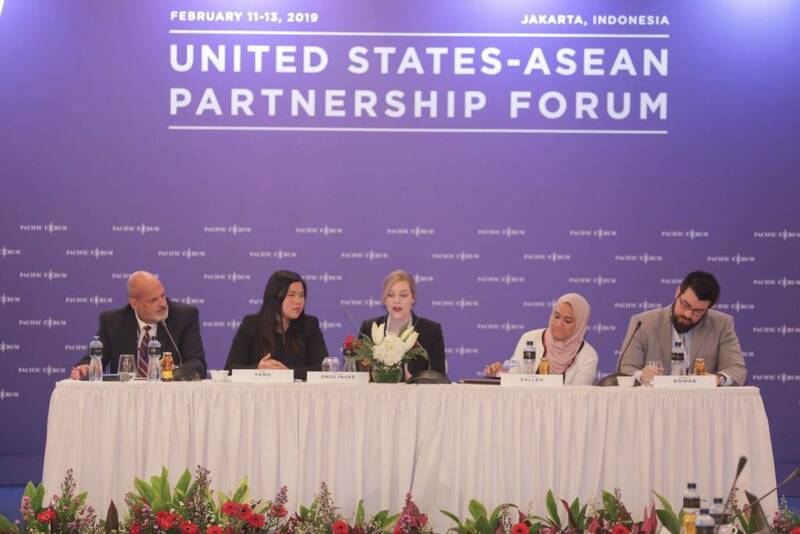 Last month, Southeast Asian and US policy analysts, civil society representatives, private sector operators, and entrepreneurs gathered in Jakarta during the US-ASEAN Partnership Forum to discuss challenges to US-ASEAN relations, and to propose innovative solutions for the future of the region. The forum, a Track II event, was organized by the Pacific Forum, The Habibie Center, and the US Mission to ASEAN as a way to bring together “foreign policy specialists, subject-matter experts, and distinguished opinion leaders” to dialogue around a variety of innovative and actionable policy recommendations. Twenty-five of us were selected to join the Young Leaders Program, part of Pacific Forum’s initiative to build a next generation of cross-sector pioneers driving Indo-Pacific issues. Collectively, we hailed from the Association of Southeast Asian Nations (ASEAN) member states and the United States. During the three-day event, we were tasked with identifying the top challenges to US-ASEAN relations and possible solutions. During our discussions, we identified three main challenges affecting the present state of US-ASEAN relations: i) the lack of transparency and clarity surrounding US-ASEAN engagements; ii) the impact of shifting domestic political factors; and iii) the relatively weak US support for the development of infrastructure in Southeast Asia. As ASEAN and the United States continue to strengthen their relationship as important security, economic, and socio-cultural partners, the expectations between both partners need to be further refined.¹ Without a transparent understanding of the domestic and international challenges faced by both ASEAN members and the United States, this partnership may wane as currently proposed frameworks and initiatives could fail to address the critical needs of both partners. Another factor that may undermine the US-ASEAN partnership is the radical shift in domestic political factors in both the United States and ASEAN members. Changes in political leadership can impact the countries’ foreign policy. New leadership can be accompanied by drastic changes in strategic ideas and a more centralized foreign policy making process which can alienate other foreign policy agencies in the state bureaucracy. Consequently, these radical changes can translate into sharp shifts in US foreign policy toward ASEAN, and vice versa, producing inconsistent expectations and growing uncertainty. For now, the perception from within ASEAN is that the US strategy lacks clear and consistent implementation, despite the Asia Reassurance Initiative Act of 2018 outlining America’s aims in the Indo-Pacific. The third challenge is the gap in Southeast Asia’s infrastructure that could benefit from more investment from American firms. Currently, funding under America’s Better Utilization of Investments leading to Development (BUILD) Act is capped at US$60 billion — a limited amount as the fund is not only designated to development projects in Southeast Asia, but also to other regions across the world.² By boosting America’s economic commitment to upgrade ASEAN’s infrastructure, the United States would enhance its credibility as a reliable regional partner and help Southeast Asian nations grow more self-sufficient in the face of emerging powers. 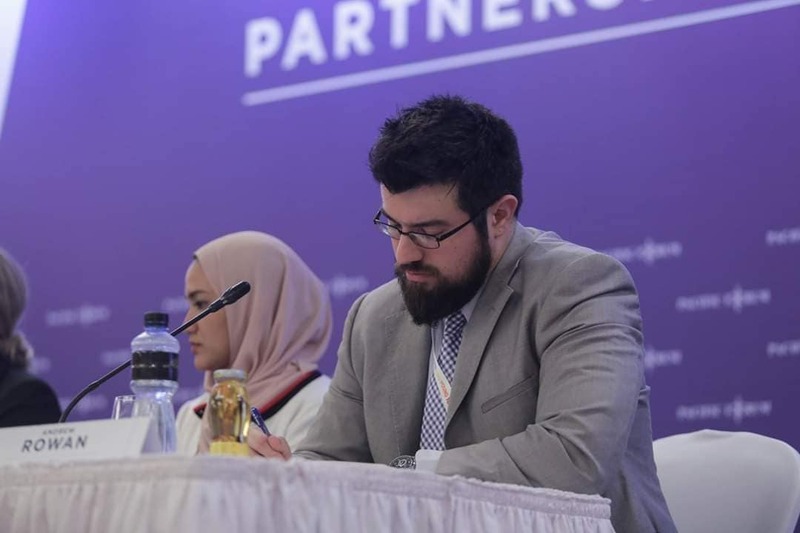 In our capacity as Young Leaders, a group of us presented three innovative solutions focusing on economic, social/cultural, and organizational dimensions. We proposed an ASEAN Infrastructure Institute (AII), a clearinghouse to promote investable/bankable projects, as a complement to the Asian Development Bank. Regarding social and cultural aspects, we sought to focus on their respective natural and developed strengths, namely the United States’ significant cultural exports such as Hollywood films and Silicon Valley’s entrepreneurial dynamism as well as ASEAN’s diverse markets. Therefore, we see an increase in studying abroad opportunities for US students in Southeast Asia as an untapped opportunity to further develop and deepen people-to-people ties. 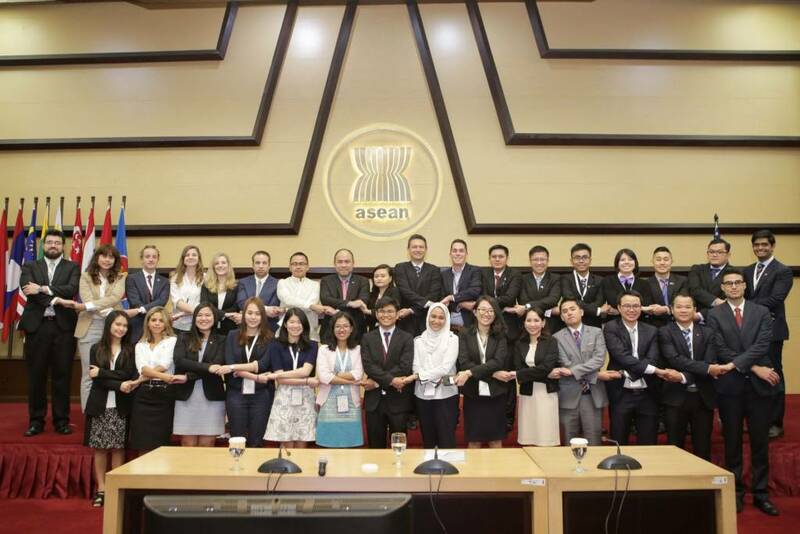 Along those lines, a “Discovery Year” across an US-ASEAN University Network, and curriculum on US-ASEAN relations in universities across both the United States and Southeast Asia could provide a foundation for greater student exchange. Complementary to formal student ties, we propose a language exchange through digital platforms such as Skype to promote people-to-people connectivity and increased digitalization exposure, especially in rural areas. 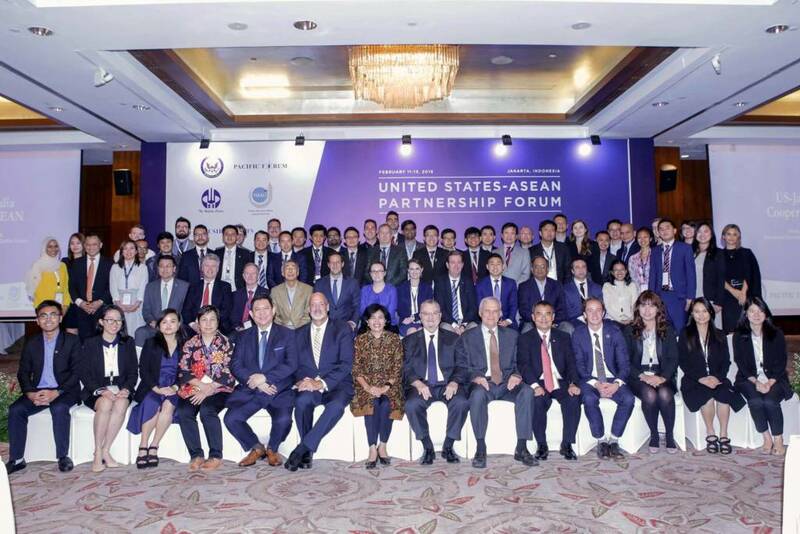 As a major pillar, we call for an US-ASEAN Entrepreneurial Rotation Programme to be established, which we envision could start in one ASEAN country (e.g., Lao PDR) and progress through four or five capital cities (e.g., Hanoi, Bangkok, and Jakarta) before concluding in Singapore to pitch to local and regional investors. US and ASEAN nationals would jointly learn a new component of entrepreneurial education at each week-long stop along the way; for example, opportunity discovery in Vientiane, prototyping in Hanoi, customer discovery in Bangkok, and market assessment in Jakarta. Additionally, there is room for increased cooperation between civil society organisations in the United States and Southeast Asia that area working on development and public policy. For example, if US citizens wish to volunteer in Asia, how can their time and skills be put to good use beyond “voluntourism”? American NGOs also have specialized know-how and funding that could be optimized better through long-term and high impact collaborations with local partner organizations in ASEAN member states within their respective domestic legal frameworks. Expanding on the socio-cultural theme, programs such as US-ASEAN movie festivals, sport tournaments, and an expansion of Mr. and Miss ASEAN pageants in more secondary-level schools could help coalesce the ASEAN identity toward one community. In key areas, existing sister city relationships between the US and ASEAN could be leveraged and new links could be initiated. Overall, such efforts would go a long way toward planting “seeds of awareness” and foster prime natural cross-cultural ambassadors/bridges. Another proposed solution is more introspective, that is, by altering norms that characterize the US-ASEAN partnership. This can be achieved by better understanding the cultures and working norms of both ASEAN member states and the United States. By building such an appreciation, all partners can work towards a relationship built on shared values such as mutual trust, respect, independence, transparency, and communication. Eventually, these shared values would resemble more of a relationship between trusted friends, rather than the common interests of working partners. Indeed, to ensure the continuity and expansion of the US-ASEAN partnership, there needs to be consistently clear and transparent dialogues that reflect a pragmatic understanding of realities on the ground. The trust needed to build this dialogue can be cultivated through more people-to-people engagement initiatives such as the Fulbright Scholarship programs and Young Southeast Asian Leadership Initiative (YSEALI). Eventually, through such pragmatism and appreciation of one another’s differences, the clarity of expectations can be achieved which is imperative for increased transparency and policy cohesiveness. This way, the United States will be able to leverage technical assistance and knowledge to ensure high-impact investments in Southeast Asia. We foresee US-ASEAN relations improving based on demographic projections in the United States and deepening economic trends between the US and ASEAN. Today, of the estimated 20 million Asian Americans in the United States, 36% of them identify with an ASEAN ethnicity, according to research by the East-West Center, the US-ASEAN Business Council, and the ISEAS-Yusof Ishak Institute.³ As the US Congress better reflects the changing demographics of the United States, and Asian-American voices become more prominent at federal, state, and local levels, there will be an increased awareness of ASEAN issues not just for diaspora communities, but also for public sector agendas and priorities. As there is already robust economic, infrastructure, and investment data supporting strong ties between the US and ASEAN, now it’s a matter of taking the relationship to the next level. See www.AsiaMattersforAmerica.org/ASEAN for more information. Asyura Salleh oversees maritime security research and engagement in Indo Pacific as Project Manager for the Stable Seas program in One Earth Future. She is currently completing her doctorate at the S. Rajaratnam School of International Studies in Singapore. Andrew P. Rowan is an American entrepreneur and the author of Startup Vietnam: Innovation and Entrepreneurship in the Socialist Republic. The following people contributed to the recommendations in this article: Asyura Salleh (Brunei), Andrew Rowan (USA), Fadli M. Zaini (Brunei), Calvin Woo Yoong Shen (Malaysia), Piyanat Soikham (Thailand), Deepu Nair (Singapore), Sara Sudetic (USA), Aisha DeMorsella (USA), Tuan Luc (Viet Nam), Kelly Park (USA), Latdamone Photsavang (Lao PDR), and May Yadanar Moe (Myanmar). If you are interested in our presentation at the US-ASEAN Partnership Forum, then please see here for a modified version. Disclaimer: All opinions in this article are solely those of individuals and do not represent any organization.